27 | February | 2015 | Sally Ember, Ed.D. 02/27/2015 by Sally Ember, Ed.D. 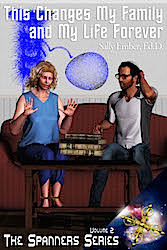 Want to read more books about #TimeTravel and discuss it with #authors? Join us for Episode 23 of *CHANGES* and participate with me and Lorrie Farrelly ! Wed., March 4, LIVE, 10 – 11 EST USA on G+ https://plus.google.com/u/0/events/clf7dlkpim0p4dg1qe40ag0jpe0 or Youtube, http://www.youtube.com/watch?v=eiSOPuxVHXc any time. Find Lorrie here: https://sites.google.com/site/yourbestreads or on Facebook: https://www.facebook.com/LorrieFarrellyAuthor . 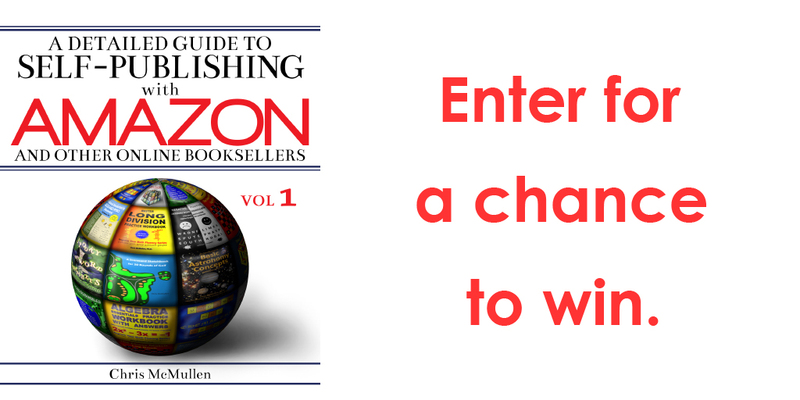 still have to follow all state and federal tax laws, but go for it: Amazon now hosts givewaways! **** 4 Stars for This Changes Everything from Dee Fox! 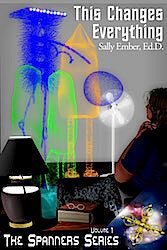 **** 4 Stars for This Changes Everything, Volume I, The Spanners Series by Sally Ember, Ed.D. Some books are like a train. I hop on and let it take me for a ride, I just go where it goes. Spanners asked me to get in the engine compartment and help the conductor. I felt that I had to sign on to the concepts and by believing, be part of the story. I liked what the author was trying to do by writing in the present tense. It never stopped bringing me up short. However every time I had to reorient myself I found myself thinking about time and how it’s just a construct. I also appreciated the humor in the depiction of how throughout history our society’s thought leaders and innovators were participants in the Many Worlds Collective. Of course they were! The series is ambitious and thought provoking. Not an easy read. I’d even say it takes a little work but well worth it for the experience. All logo and cover art for The Spanners Series by Aidana Willowraven. I have been passionate about writing since I was nine years old, when I wrote and published my first story, a fairy tale about an inquisitive princess (see? I started out autobiographical). Always competitive, I’m absurdly proud that I won prizes for my poetry, stories, songs and plays early in life. Did I use up my creativity good karma too soon? I was born Jewish on the cusp of Leo and Virgo, which seems to mean that my life has been infused with change. Currently, I meditate, write, swim, read and host my LIVE, almost-weekly Google+ Hangout On Air (HOA) *CHANGES* conversations between authors, Wednesdays, 10 – 11 AM EST USA, in St. Louis, Missouri. I have one older brother and two younger sisters (none lives in St. Louis but we’re in close contact) and I used to have seven step-sisters and two step-brothers (we’re not in touch).